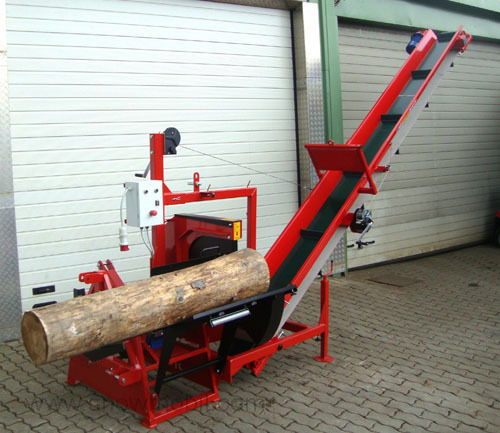 This circular saw is driven by the electric motor of 5.5 kW. 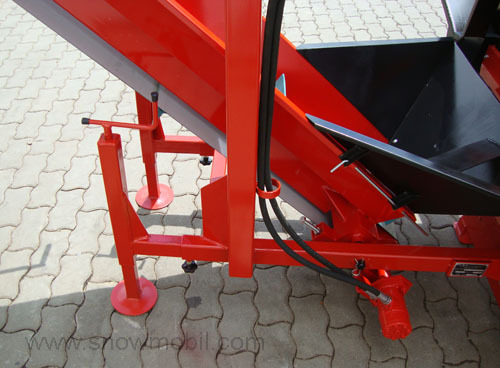 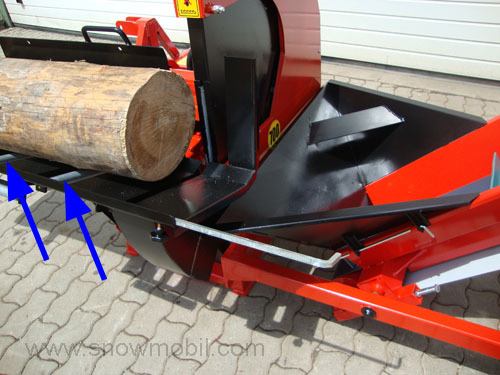 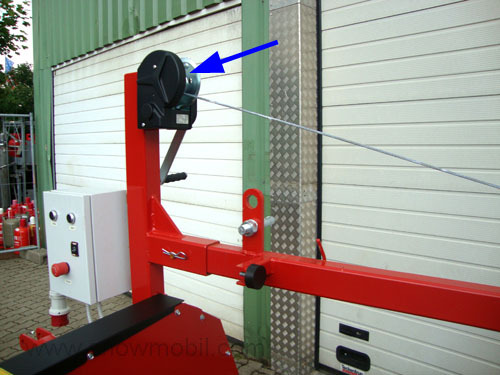 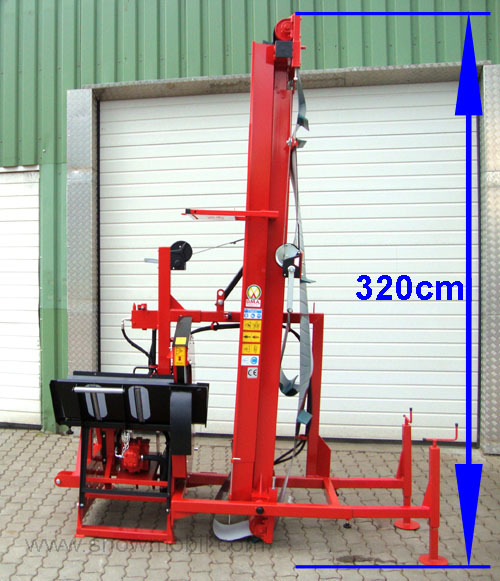 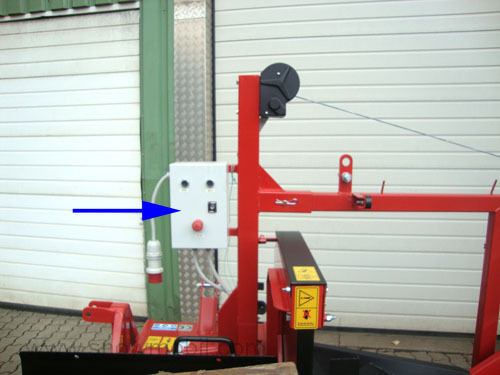 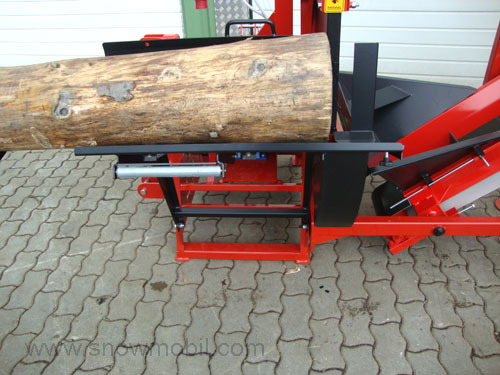 When mounted on the tractor with side suspension the widest side of the circular saw is 200cm long. 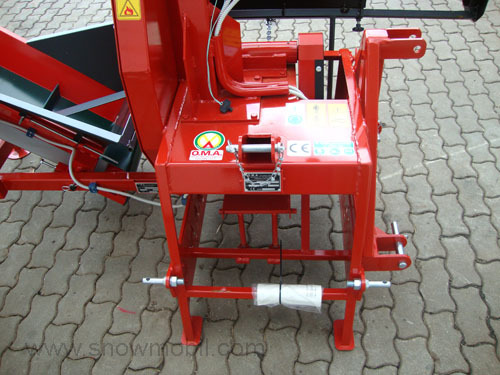 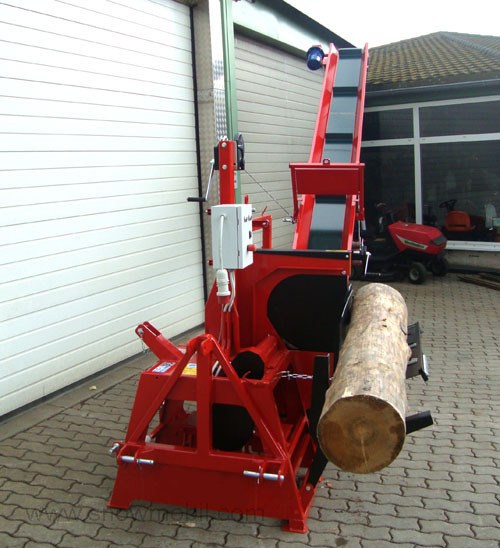 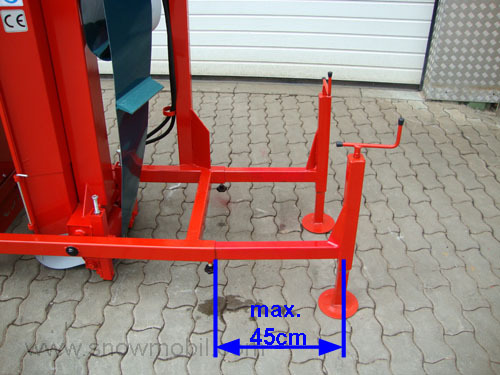 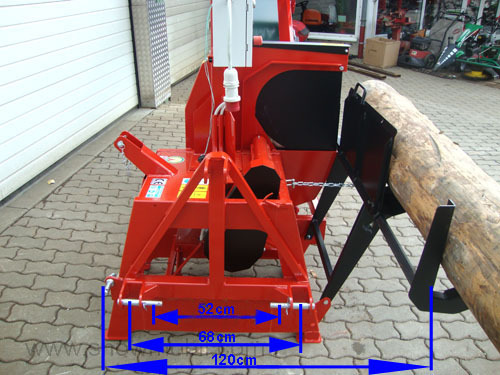 You can attach the circular saw to the tractor longitudinally also, if there are space problems such as too narrow gate entrance etc.. Then the machine is 120cm wide when folded table. 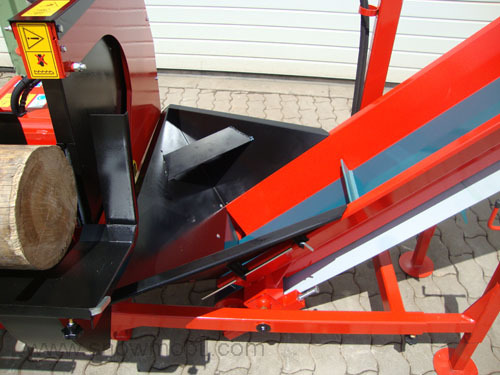 The conveyor belt is driven by means of an installed Eletric motor. 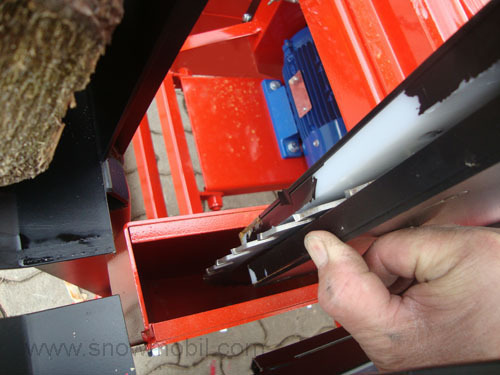 Electrical control box for operating the conveyor belt and circular saw - 16 amp socket. 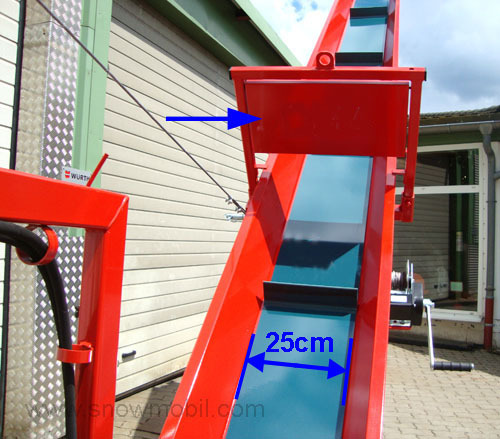 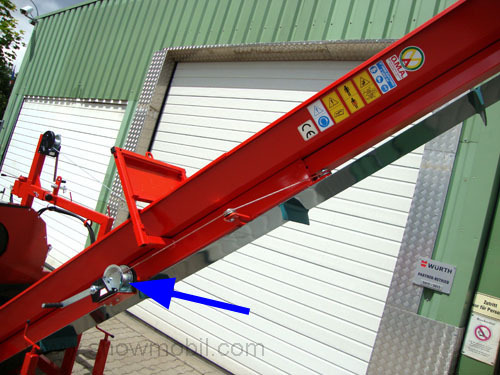 The conveyor can be lifted continuously by hand winch. 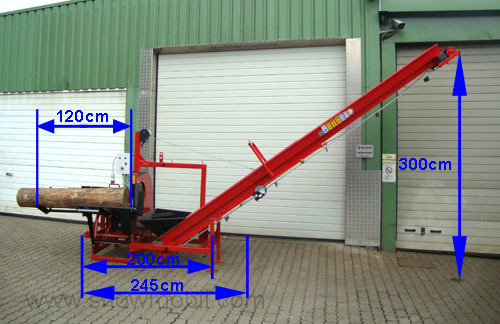 It is designed as a telescopic belt and can be extended up to a length of 500 cm. 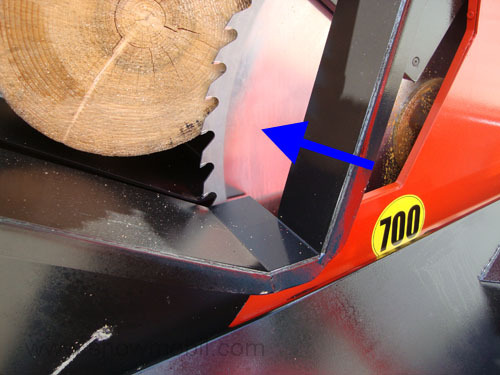 As a saw blade is installed 700s Vidiablade. 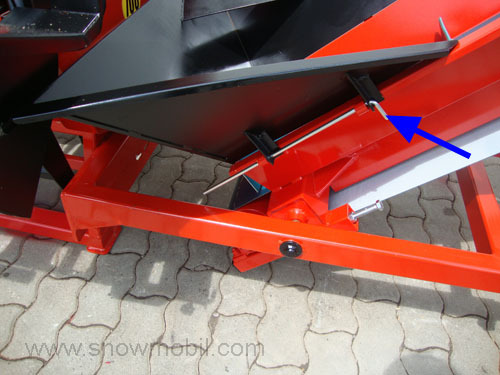 It is powered by two V-belts from the electric motor. 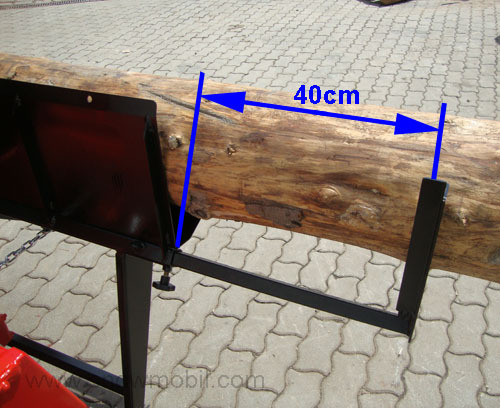 The table has roller bearings.